I recently observed a little girl flying a kite with her mother on the beach. It was one of those rare, sweet moments when life slows down and comes into focus giving you a clear view of all that truly matters in this world. I was so pleased to see a child choosing an activity that did not require a wireless connection or 4G help. At first, the little girl was letting her mother do all the work and was just running around blissfully enjoying the kite in flight. Then she caught a glimpse of me watching. She proudly walked up and boldly took a hold of the kite string. She looked back to make sure I was watching as if to say “see what I am doing!” At that moment, I could tell she truly thought she was 100% in charge. Little did she know, that one simple gust of wind would have sent that kite so high she would have never retrieved her prized possession. 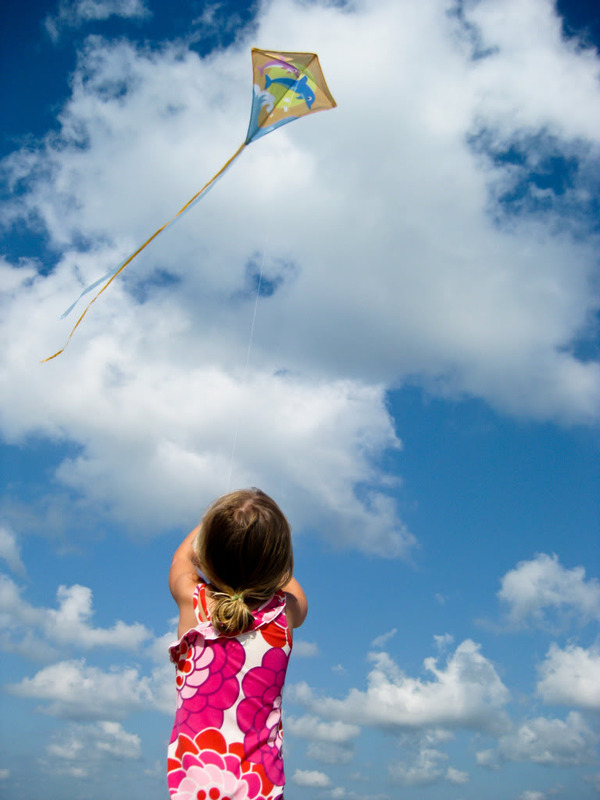 It was only the strong grip of her mother’s hand behind her that allowed the kite to dance unhindered with the clouds above. That same strong grip also allowed the little girl to experience all the joy without the stress or worry of losing control. Do you know the freedom of giving the string to a stronger, firmer hand? As you walk through life, are you blissfully enjoying your steps with the knowledge of who is really in control, or are you panicking with every gust of wind and struggling trying to hold on? Take a lesson from a sweet, care-free young girl. Give the control to one who has a much better view. God takes pleasure in watching you enjoy life. He laughs and sings over you. He LOVES to watch you walk in freedom. He won’t fight you for the string, though. He leaves that choice up to you. You see that little girl never ONCE fought her mother for the control. She just gently walked up and joined her with full confidence. He sees your struggle. Will you choose to let Him have control today? Trust me… it’s way more FUN! Think about that. Have you ever known a time when Satan ceases his relentless attacks against us? When does this happen? Never. Why? 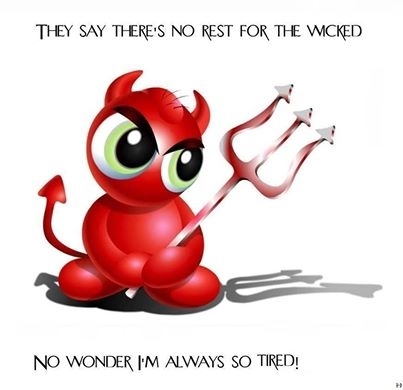 Because there “ain’t no rest for the wicked,” of course. While this phrase has morphed slightly, it’s obtained pop culture status and mainstream popularity. The origin of it, however, is found in the Book of Isaiah. Those who lead wicked, sinful lives will have no peace (or rest) and won’t find it until their spiritual affairs are in order. By the same token, those who are wicked are hounded by their sin, thus there’s little time left for peace or rest. After all, it’s hard work to keep up with sin – all the covering up, lying, guilt, paranoia and distrust. No wonder it’s not peaceful. To that end, Satan and his legions don’t have a 9 to 5 job. They don’t punch a clock or build up vacation hours. It’s highly unlikely they will spend a relaxing weekend vegging on the couch, maybe taking in a game or two. The wicked are on the clock all the time. It’s a full-time job rejecting God. Here’s a question for you. Knowing this, do you think we deserve to take a day off in our spirituality? So why do we do it ? Maybe our focus and priorities need to be everyday rather than once a week. This generalization of course does not necessarily apply to everyone, but I think we can all heed the point of this message. Evil doesn’t take any days off, so why should we? to the sin in our hearts and the weariness of our souls. Yep. You can quote me on that. Pass it on. Share it with those you love, and more importantly, those who need your love. My friend and co-worker, Tabitha Taylor, is famous for saying around the office, “There’s a Friends episode for everything!” I tend to believe her. In almost anything we say or do, or anything that takes place in the office, we can find a moment in a Friends episode that can relate. Sometimes, we live our life like Joey’s date. We order the garden salad, but it’s not enough for us. So we end up picking off other’s plates to sustain ourselves. This is a terrible approach! We can’t rely on getting what we need off the plates of others. It may fill us temporarily, but is only short-term. The better approach is to turn to the Bible for daily nourishment. It’s like an all-you-can-eat buffet that never stops fueling you. You can never overeat or get bloated! You don’t even need elastic pants! Plus you don’t get yelled at by those whose plate you poach! But don’t forget! It is completely possible to under-eat. When provided a buffet-bonanza of spirituality, don’t order the salad. Go for the meat and potatoes! Go for multiple plates and stack them high! Everything you are looking for is between those two covers. Do yourself a favor and explore God’s Word. It actually has more content relevant to your everyday life than Joey, Monica, Chandler, Ross, Rachel and Phoebe can pack into the ten seasons of Friends. My grandparents live in the middle of nowhere. Their home and land casts some of the most incredible scenery I’ve ever seen. My family and I have grown up knowing this Tennessee hollow (pronounced “haller”) as “God’s country.” When you are there, time seems to stand still and it’s impossible to not relish in the beauty that surrounds – the beauty God made. Last weekend, I dropped by to see my wonderful Nannie and Pawpaw, but with a gazillion things on my to-do list for the day, I had mentally prepared myself for a one-hour visit. When I called Pawpaw to let him know I was on the way, his response was “we have a mess of beans to pick, get here quick.” I knew then, my one-hour visit had just become a full day. I would not turn down the opportunity to spend quality time with the people I admire so much and crave to learn from. 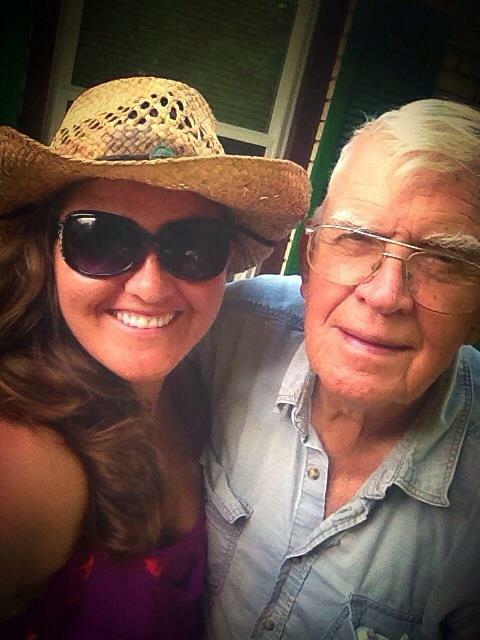 When I arrived, my 84-year-young Pawpaw was working diligently to put up a fence. I got out of the car and he handed me a bucket letting me know which row of green beans had my name on them. I joined two of my cousins in the massive pile of dirt and rocks that encompassed these beautiful green plants, for what seemed like miles and miles. As I began at the end of the row and worked my way towards the middle, I felt pretty accomplished. I was tearing through each plant grabbing every bean I could, but then, something happened… God met me there, right in the garden. As I inched closer to the middle of the row, I realized the plants were growing thicker and thicker. The ones that were not spaced out, it seemed, had flourished four-times greater than the ones I had already picked. I felt like every time I picked a bean, five more appeared! Wow! I took a deep breath, sighed, and smiled thinking about just how good God is. How much He delights in the tiny things. I thought about how He had given me my own real life parable. That’s how many stories in the Bible are anyway. When we don’t understand what Jesus was trying to say, He gave us stories that were easy to understand and share with others. Oh man, what an awesome story teller He was! He used real life situations to teach. While this lesson may not be as profound as the Good Samaritan, the Rich Young Ruler, or the Mustard Seed, I knew in this moment, in God’s country, He was speaking directly to me. This is one of those kind of moments that will stick with me forever and will be a story I get to share with those who are not ready to talk about Jesus just yet. 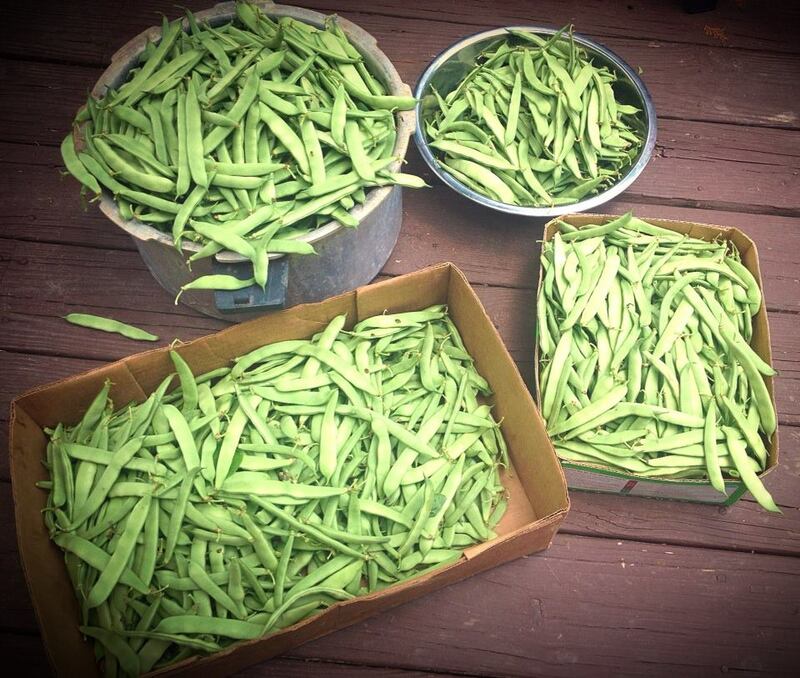 I now have my own little personal parable about the time Jesus met me in the garden when I was picking green beans! Have you ever stopped to think about what parables Jesus has written into your life? Share them here! What bugs you? I mean mind-numbing, spine-tingling, nails-on-a-chalk-board drives you crazy!?! Is it that toy stuck under the couch staring at you that should have been put away the first time you asked? Do you have crumbs in your car that need vacuuming out? Is the person sitting next to you smacking their gum? Or, let’s talk about work. What about new work policies that keep changing every year you have absolutely no control over? Try my personal favorite… paper work. Not just “paperwork”, but paperwork that has a different format every single time it’s sent out and the boss needs it immediately? Oh that’s a fun one, right? I’m sure even a few names of people who gripe you are floating around in your head about now too. Those idiosyncrasies that seemed cute at first but now threaten to send you to the moon. 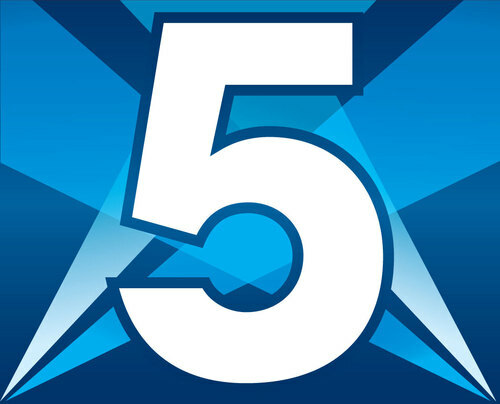 Now, before we go down a very negative road that truly has no decent outcome, let me introduce you to the “Rule of 5”. Is this going to matter to me 5 minutes from now? Is this going to matter to me 5 days/weeks from now? Is this going to matter to me 5 years from now? If the answer is NOT in 5 years…then the source of your stress needs some serious perspective. Our gripes and our pet peeves cannot add a single second to our lives, however, they can take away from our lives. They take us away from our families. They turn us into negative co-workers. We become distracted and unfocused. That paperwork that drives me crazy… I can finish in a very short amount of time, but if I allow myself to bring that stress home, I have now robbed myself of precious and meaningful moments with my family. In five years I won’t even remember what I wrote on those documents, but my family will forever remember how I impacted their lives. Put your real energy in the “5 year!” Your family, your friends, your church, your small groups! Make a list if you need to. If the “5 day” stuff is taking way too much of your energy, then make a very real plan on how to deal with those stresses when they come, because they will. Ask a trusted friend to hold you accountable so you can sift through and find the things that are of real value in your life. Have scripture ready and available to guard your mind. (I personally keep index cards with my most trusted scriptures on a ring nearby). Always remember the “Rule of 5!” Get out there and ENJOY life!